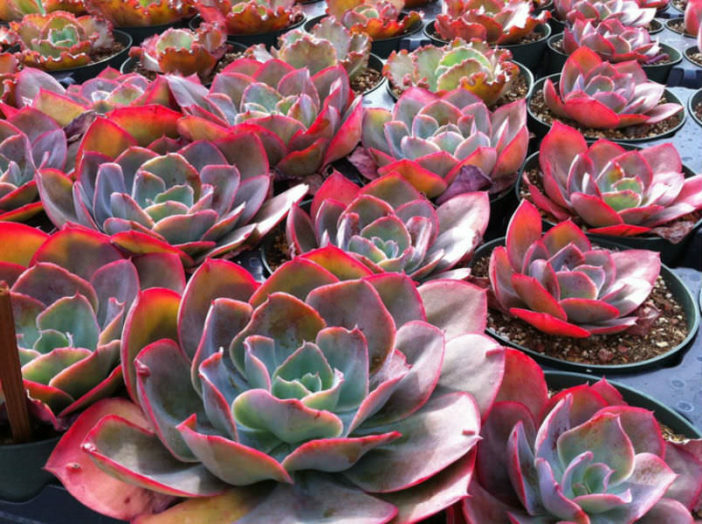 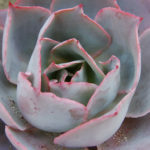 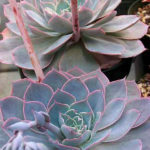 Echeveria ‘Morning Light’ is a lovely bluish lavender plants with dark pink leaf edges. 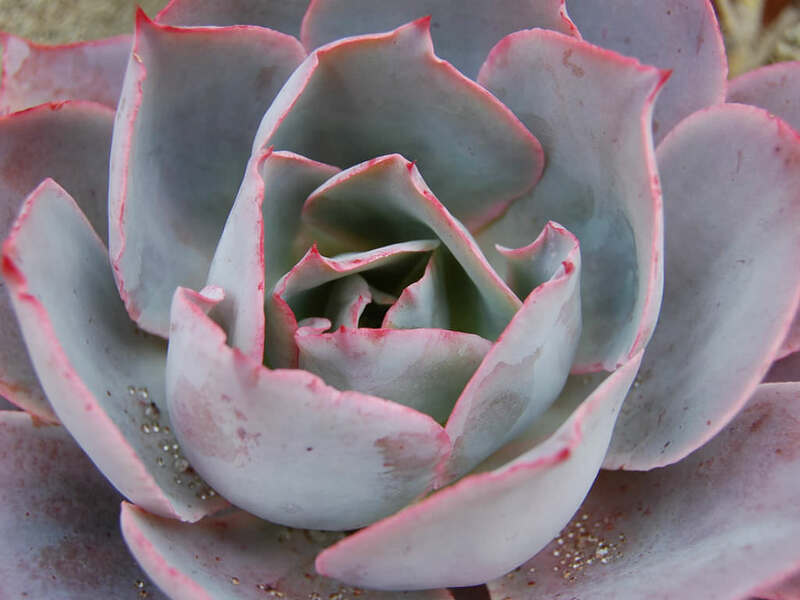 It is a hybrid created by Don Worth, a sister sibling of Echeveria ‘Afterglow’. 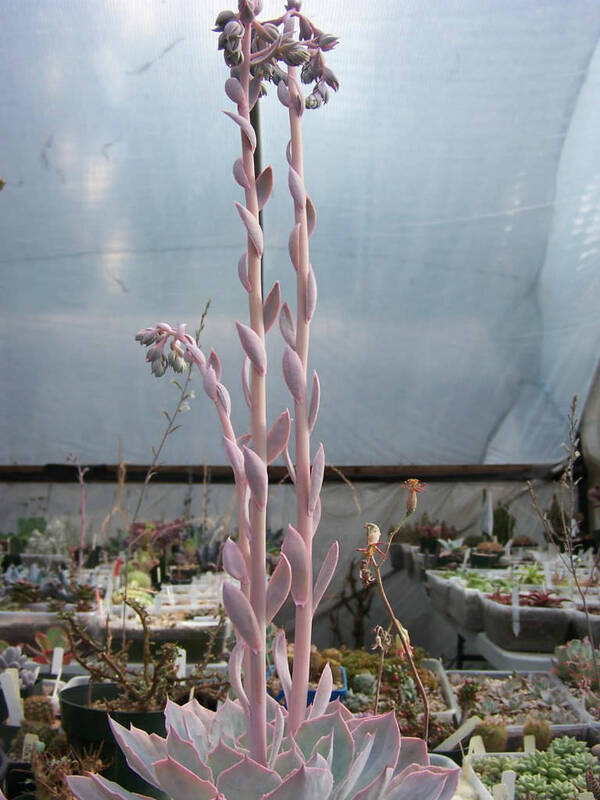 It grows on a short stout stem that holds up to 12 inches (30 cm) wide rosettes. 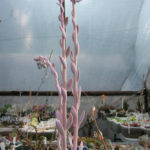 The flowers are orange-red in color. 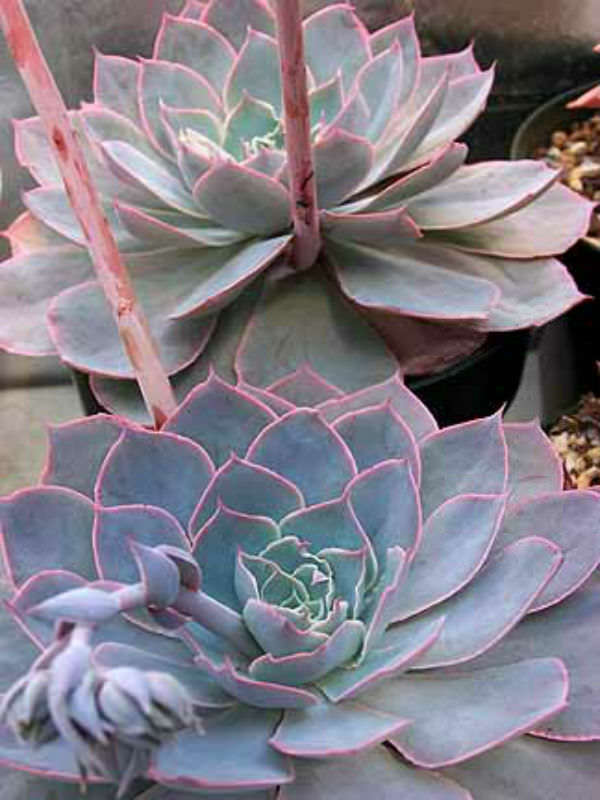 Hybrid between Echeveria cante and Echeveria shaviana.